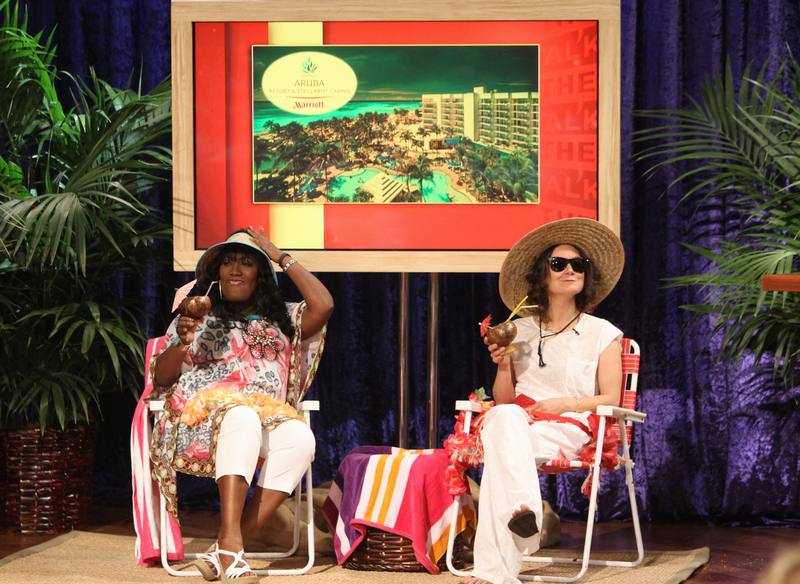 “The Price Is Right” host Drew Carey brings the game Hi-Lo to the set of THE TALK, and an audience member gets to play for a trip to Aruba, Monday, October 07, 2013 on the CBS Television Network. Sheryl Underwood, from left, and Sara Gilbert. Photo: Monty Brinton/CBS ©2013 CBS Broadcasting, Inc. All Rights Reserved.